Tim wants to join Marcus's book club. The Examiner shows off his unique lie-detecting skills. Tim attempts to fine-tune his computer hacking skills at work, and later ends up putting them to good use by changing Marcus's school grades. The Examiner is on star-spotting duties and casts Tim and Caitlin in a recruitment video. It seems like a perfectly good idea until the pair let their disguised identities get the better of them. 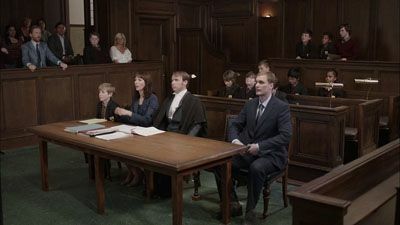 Chris represents Tim in the custody case for Marcus. Tim and Caitlin potential relationship is halted when her presumed dead fiancee returns. Marcus is obnoxiously bright, the kind of kid you imagine becoming a world leader, or, alternatively, criminal mastermind. After being sent on work experience, though, he develops a taste for retail. Meanwhile, considering his - to put it politely - unorthodox approach to his job, it's no surprise to learn that The Examiner's appraisal doesn't go to plan. They say you can't help who you fall for, but a woman in the Witness Protection Programme - really, Tim, really? 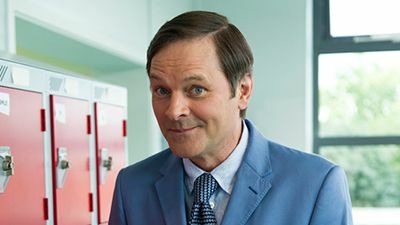 The lovesick sleuth is asking for trouble and it falls to best bud Chris and ex-wife Judith to sort out the sticky situation. Marcus is an extraordinarily gifted child, master of many subjects and skills, except, we learn this week, riding a bike. Find out if the youngster perfects the pastime or risks experiencing the social stigma that unavoidably comes with stabilisers. Maintaining a secret identity is a mighty ask, and there's every chance that Tim's cover is going to be blown when he's forced to take Marcus to work with him. Also, there's extra cringe in this week's therapy session when Owen leads Philip and Judith in an elaborate role-play exercise. 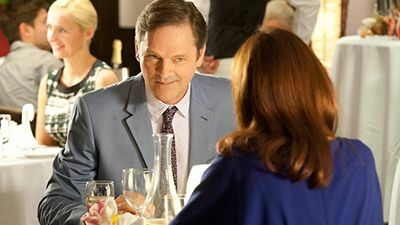 While Chris tells one porky too many in a bid to turn Marcus into a celebrated author, Portis busily prepares for Caitlin's birthday, but fails to factor in a major obstacle in the form of saboteur Tim. 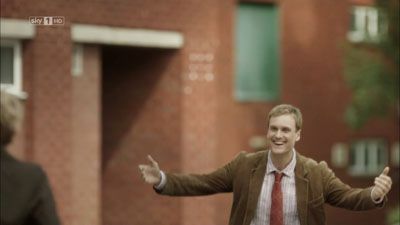 After bumping into his MI5 body double, who happens to be a genius, Tim agrees to compete for custody of Marcus. Moritz, meanwhile, is asking for trouble when, crossing all sorts of lines, he tries to woo a hostage's anxious girlfriend. Tim is given extra incentive to rekindle his romance with Caitlin after finding himself on an assassin's hit list. 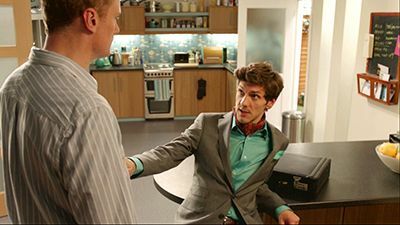 Marcus, meanwhile, has been biding his time and is in prime position to humiliate rival Nick at Justine's dinner party. Tim's got a lot on his plate this week, thanks to a homeless Eastern European man and a social worker named Paula, who happens to be absolutely bonkers. Marcus's hopes of organising the Summer Ball are dashed when the dreaded Mrs Godfrey usurps Philip as the school headteacher. Meanwhile, struggling to find a date, Tim tries to improve his luck with the ladies. Maybe he should take a leaf out of Bond's book. After Judith receives a blow to the head she wakes up believing that she's still married to Tim. 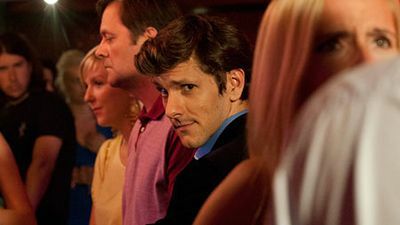 Poor Philip is understandably devastated, but on hand to pick up the pieces is Chris, who believes the best course of action is to reintroduce him to the dating scene right away. Tim's spy senses are put to the test after he strikes a dodgy deal with The Examiner. Marcus gets a little bit of power and enjoys it. Tensions simmer at school when new boy Nick stands against Marcus for school president. Tim tries to help Marcus but, given previous form, is more likely to hinder the campaign. Operation Sabotage is in full swing back at MI5 as Tim offers Caitlin and her presumed-dead but now actually very much alive fiancé Portis some rather dubious relationship advice. New counsellor Owen makes an impression too, taking a particular shine to Judith.